SUFFERING WITH KNEE PAIN? This Non-Surgical Breakthrough Treatment May Be The Solution You Need. Knee pain sufferers in Central Missouri are getting long lasting RESULTS with our NON-SURGICAL Columbia knee pain relief and repair program. When looking at the knee, we look at the entire process of what the knee does and how other areas of the body affect the knee to find the cause of the knee pain. For example, foot issues, such as a flat arch, can cause the knee to absorb a lot of extra pressure when the foot does not come in contact with the ground properly. A good pair of custom inserts could help with knee pain relief in this case, even if there is no foot pain. RATHER THAN TRYING TO MASK CHRONIC PAIN, WHAT IF SCIENCE HAD A WAY TO REPAIR THE KNEE WITHOUT KNEE SURGERY? If you've been told you need a knee surgery, you owe it to yourself to find out if this non-surgical program is an option for you. 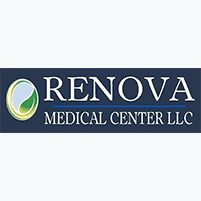 At Renova Medical Center, we offer a premier, non-surgical, Knee Pain Relief Program that is SAFE and EFFECTIVE, with NO down time. Our talented medical staff work together to provide a comprehensive approach to chronic pain – a collection of some of the most advanced Columbia knee pain treatment protocols available to date. Take advantage of our introductory offer today. These visits will allow us to obtain your health history, evaluate your condition, answer all your questions and determine your potential for success with our treatments. Are You Dealing With Any Of These Knee Symptoms? What makes our knee program so effective? Call to schedule your consultation today – 573-234-1367 or sign up below.